MOMA 42 offers a high quality work and an excellent location. These condos in Playa del Carmen were designed with investors in mind, to provide immediate value and a guaranteed return on investment. 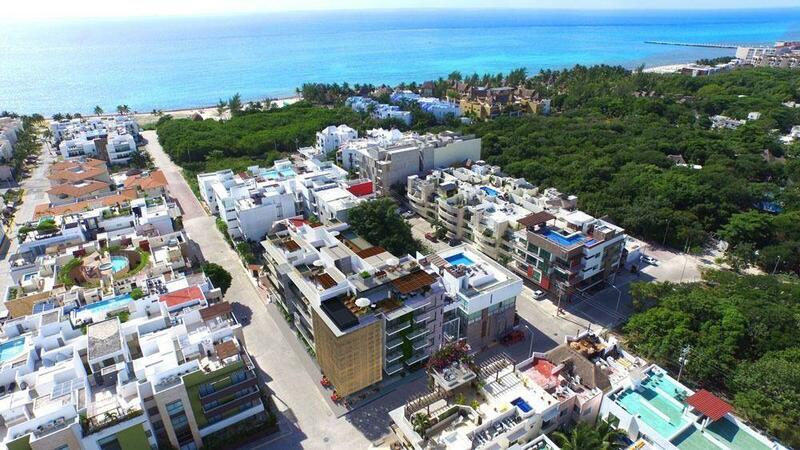 On 42nd Street, very close to the corner of the famous Fifth Avenue Beach, MOMA 42 is only two blocks from the white sand beaches and turquoise waters of the Caribbean coast of Mexico. And with the energy and activity of 5th Avenue Beach literally around the corner, there is easy access to a variety of global brands, local boutiques, hotels, bars, entertainment venues, restaurants and much more. plus. The services at MOMA 42 ensure that all the needs of guests and residents are anticipated and met. These include secure parking, concierge services, an infinity pool of 20 meters to the roof, a rooftop terrace with wonderful sea views, elevator and beautiful common areas with bar and grill. The apartment faces Calle 42, is sold with furniture and has a balcony of 11 m2 overlooking the street.